The following is a letter of explanation and an appeal for funds from a BlogGroup called Zio-Pedia. 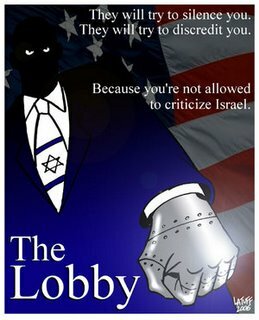 Since their inception they have done a marvelous job of exposing the wrongdoings of the zionist state… they must be allowed to continue. Please read the following…. Due to obscene political pressure by the Zionist Mafia, both PayPal and StormPay were forced to suspend our donations accounts. Your generous financial support is needed for ZioPedia.org to survive and remain the fastest growing anti-Zionist voice on the web. One of the most disappointing aspects of the obscene attempt of the Kosher Nostra to destroy ZioPedia.org by bullying online payment services PayPal and StormPay into suspending their donations accounts, is the silence of fellow dissident sites on the matter. Is is because they are afraid of receiving the same treatment? Or do they see ZioPedia.org as a competitor rather than an ally in the war against a common enemy? The number of pledges is an even bigger disappointment. Instead of the expected surge in solidarity, ZioPedia.org is now facing the real prospect of having to shut down. Unless we are able to raise at least $5,000 before the end of February, ZioPedia.org will be forced to close its doors . Please send the details of your pledge to donations@ziopedia.org and we will get back to you with payment options.